Frosty D.R. Moore, M.D. is a board certified orthopedic surgeon, and has been practicing in Austin for 30 years. He was born in Austin and has lived here most of his life. Frosty married his wife in 1981 in NYC, where she is from. She is also a physician. They have four grown sons; three are orthopedic surgeons and plan to join Frosty, eventually taking over his practice upon his retirement. Frosty first established his practice in Austin in 1986 with two partners as Texas Orthopedics, which grew into a very large group. After 20 years, he developed a new practice that his sons could eventually share with him. This would be more personal and manageable, and where Frosty is at today. Frosty’s special interests are: rodeo, hunting, playing guitar and harmonica, scuba diving, skiing, ranching, and grandkids. All four of his sons will be living around Frosty and his wife in Austin. Over the past 30 years Frosty has performed approximately 6,000 total joints (hips, knees, ankles, and shoulders) and 9,000 arthroscopies, including those associated with sports medicine and reconstructions. His first 17 years in practice were spent attending to major traumas around Austin. Being born in Austin, Frosty’s roots are here; having first attended Eanes Elementary in Westlake, when it was a two-room schoolhouse; then Austin High; and then the University of Texas at Austin on a baseball scholarship, culminating in the 1975 National Championship title. After completing a residency in orthopedics in El Paso, and moving back to Austin, Frosty wanted to give back to his community. He is fluent in Spanish, as are his wife and all four sons. He coached all four of his sons in baseball, which has always been his passion, was Scout Master for their troops from ages 6-14, and a founder and director of Rodeo Austin. For the past eight years, Frosty has been the chief of surgery at Westlake Hospital, as well as Vice President of Austin Surgical Hospital in the past. 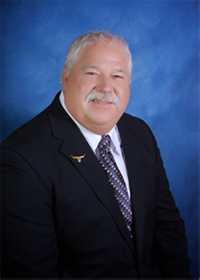 Presently, he sits on the board of Rodeo Austin (23 years), Lone Star Cattleman’s Association, and Westlake Hospital. Giving back has come in many forms in his career, such as team physician for five area high schools, Austin Ice Bats hockey team, and one of the Justin Sports Medicine team doctors for PRCA Rodeos. He is also generous with donations and time offered to community support programs, including The Weekend Warriors. His life has been dedicated to his community and patients, and he will hand down his experience and care to his sons who will follow in his footsteps.